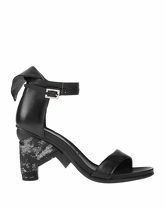 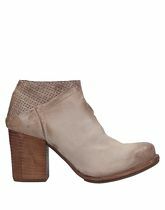 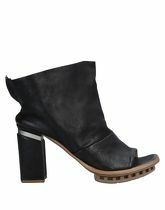 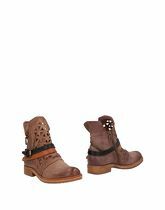 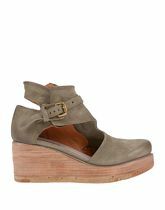 Heel height 1.95 inches; Soft Leather; leather lining, buckle, studs, square toeline, textured leather, solid colour, square heel. 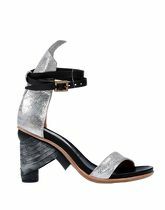 Heel height 3.51 inches; Soft Leather; leather lining, round toeline, no appliqués, laminated effect, leather, solid colour, geometric heel. 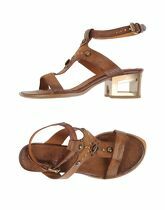 Heel height 3.71 inches; Soft Leather; sculpted heel, round toeline, solid colour, leather lining, no appliqués, hook-and-eye closure, rubber sole.